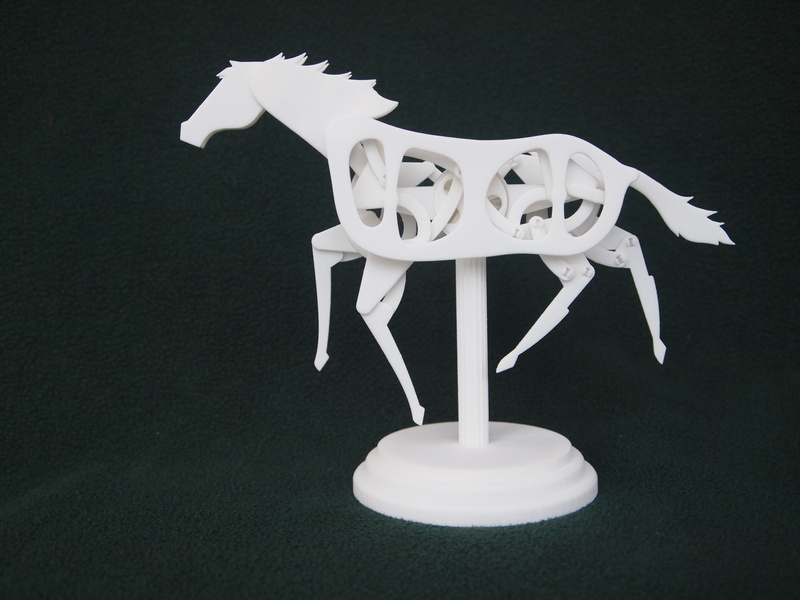 The horse is printed with 3D printer in Nylon and assembled. It is a miniature version of the Aluminum “Race Horse” kinetic sculpture. and a variation of the Race horse mini A sculpture. planetary gear and bevel gear to produce the galloping action.